Best place in the world to have a beer ? A recent poll on Ratebeer has again resulted in Belgium winning a few of the top spots. This time we're talking about "best places to have a beer" and "In de Verzekering tegen de Grote Dorst" ranks very highly. In this list there are 8 Belgian locations (bars, breweries, ...) which Ratebeer says are among the best place to have a beer. I'm not sure if any of these serve our beloved Westvleteren beer, but they surely deserve a visit. While the number one position is taken by a Swedish location, the number 2 spot is a Belgian place not that far from Brussels: "In de Verzekering tegen de Grote Dorst", which loosely translates as "At the Guarantee against Thirst". And yes, this is an unusual name for a bar, even in surrealist Belgium. It's located just 20Km from Brussels, or a half hour drive. Amazingly, In de Verzekering tegen de Grote Dorst is only open on Sunday mornings. These kind of bars are quite typical in the Belgian country side - they are a meeting point for when people in small villages go for a walk, meet each other, have a few choice beers and catch up on local gossip. These places often have excellent and sometimes unique beers available, at "local" prices. I'm not sure if you can buy Westvleteren there, but they sure have a very extensive menu (warning: it's a little hard to read online). Nevertheless, In de Verzekering tegen de Grote Dorst is not an ordinary bar. They are famed for their wide selection of (sometimes rare) Geuze and Lambic beers. The atmosphere is described as being very welcoming and cozy. Often you'll find yourself having a beer among locals and passing cyclists and you may find tourists there from all over the world. Reviewers say the presentation of the beer (the glass, temperature, etc.) is also top notch. Check their Facebook page for further info. 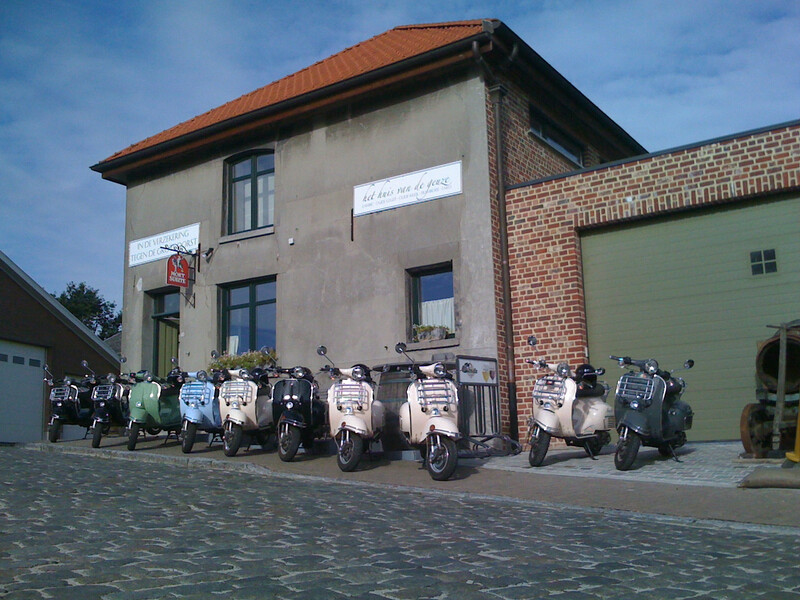 Other Belgian places that made it to Ratebeer's list are: "De Heeren van Liedekercke" (15th), Cantillon (27th), "Chez Moeder Lambic Fontainas" (21st) and Chez Moeder Lambic Saint-Gilles (28th), the Alvinne brewery (42nd) ’t Brugs Beertje (30th) en brouwerij Alvinne (42nd). If you needed a reason to visit Belgium - now you have it!